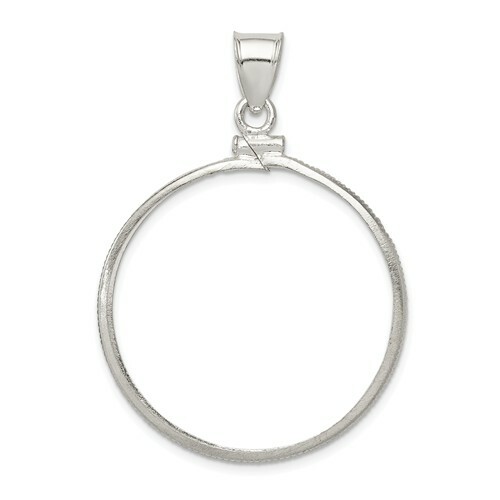 This sterling silver smooth bezel pendant holds a United States half dollar coin. It fits the following coins: Walking Liberty half dollars 1916-1947, Franklin half dollars 1948-1963, and Kennedy half dollars 1964-present. Dimensions: 30.5mm x 2.1mm. 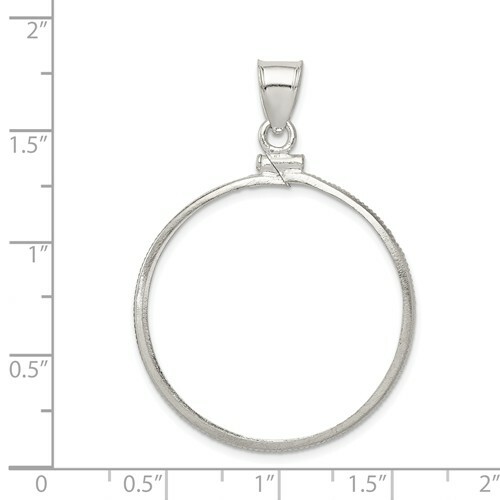 Fits up to a 4.5mm wide chain. Screw-top. Coin not included. This product was exactly what I expected it to be, and when the first unit proved to be defective it was immediately replaced at no expense to me. Everything is well and truly a wonderful piece.